Ontime Home Health Care Staffing Agency LLC is an ODA and DODD certified family home care agency. Based in North Ridgeville, Ohio, we provide high-quality, reasonably priced in-home care services for those who live in the Northeast Ohio Region. However, if our services are requested outside the geographical area, we strive to accommodate it. After all, we endeavor to make our Personal Care Services in Cleveland, Ohio accessible to everyone. We have a strong background in client-centered service, case management, and care giving. With that said, you can truly rely on Ontime Home Health Care Staffing Agency LLC to provide you with the care and support that you need. We genuinely care about each and every one of our clients; moreover, we recognize that every client that we meet is different – this is why we do our best to personalize our services accordingly. 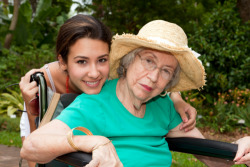 Ontime Home Health Care Staffing Agency LLC is an in-home service provider that assists individuals and families. We are dedicated to helping our clients lead dignified, independent lifestyles in the comfort and safety of their own homes by carefully assessing and fully understanding their needs and selectively placing trained personnel to meet these needs. Ontime Home Health Care Staffing Agency LLC is a premiere home care organization that employs experienced personal care professionals to provide their unique personal and professional expertise to the Clients of Ontime Home Health Care Staffing Agency LLC. Ontime Home Health Care Staffing Agency LLC is committed to the development of excellent personal care and clinical staffs for the provision of personal and health care services to Ontime Home Health Care Staffing Agency LLC Clients. These services are delivered, without exception, in strict compliance with our company mission. Our employees are insured, thoroughly trained, and experienced to provide our wide range of services. Under their supervision, you can certify that you will get the care that you deserve. To set an appointment, please call us now at 440-353-1012 or visit our Set an Appointment page.